Dr. Mariano Cingolani was born in Macerata on 8.4.1954. Dr. Mariano Cingolani got degree in Medicine in 1979, posgraduate specialist degree in legal medicine in 1982 and in forensic toxicology in 1985. 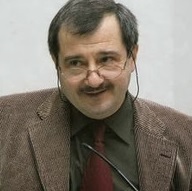 He was researcher in Institute of Legal Medicine of Ancona University in the period 1981-2000; Dr. Mariano Cingolani was associate professor in the same institute in the period 2000-2004; from 1.3.04 he is full professor of Legal Medicine at University of Macerata; from 1.11.2004 he is Director of Institute of Legal Medicine of University of Macerata. Dr. Mariano Cingolani had the disposition of Ministerial Founds for research in the period 1989-2004. He is member of the Forensic Toxicology Group of Medicolegal Italian Society and of International Association of Forensic Toxicology (TIAFT). Dr. Mariano Cingolani is author of over 230 papers, the most of which in the field of forensic toxicology. From 2006 he is on the Board of the Journal of Analytical Toxicology; from 2008 he is on the Board of the Italian Journal of Primary Care. Dr. Mariano Cingolani's research interests include Forensic Medicine, Forensic Toxicology, Clinical Toxicology, Forensic Pathology, Clinical Forensic Medicine, Forensic Chemistry, Legal Medicine, Forensic DNA Typing, Forensics, Forensic Nursing.